File photo of the El Paso County judicial complex in Colorado Springs. The Improving Outcomes for Youth Task Force brought together lawmakers and experts from across the criminal justice system to examine the efficacy of the juvenile system in Colorado. Among the issues it identified is a roughly 50 percent recidivism rate for incarcerated children and a general tendency toward over-punishing kids for minor crimes. 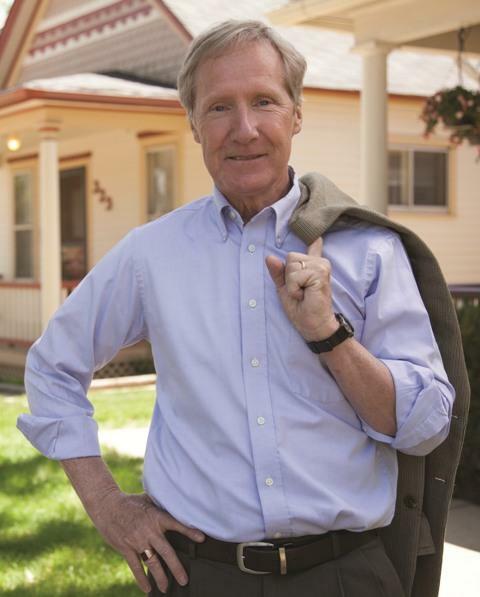 State house representative and senator-elect Pete Lee, a Democrat from Colorado Springs, co-chaired the task force. Representative Pete Lee, a Democrat from Colorado Springs, served as co-chair of the Improving Outcomes for Youth Task Force, which examined the state's juvenile justice system and offered policy recommendations. “The best thing you can do for most juveniles in the criminal justice system is to get them out of the criminal justice system, out of the juvenile justice system,” he told 91.5 KRCC. Rep. Lee has served in the Colorado House of Representatives since 2010. In that time, he’s sponsored several bills aimed at reducing incarceration rates in the state and promoting the use of rehabilitative diversion programs and restorative justice practices. He says he plans to co-sponsor an omnibus juvenile justice bill in the coming legislative session with Republican Bob Gardner based on the task force’s policy recommendations. Rep. Lee sat down with 91.5 KRCC to talk about the findings of the group and the changes he hopes to see to Colorado’s juvenile justice system. 91.5 KRCC: First of all, can you tell me why this task force was formed and what issues it was kind of seeking to address? "We wanted to ensure that only the kids who are at greatest risk of doing harm in the community are put into detention." Rep. Pete Lee: Sure. The impetus behind it was a belief that it was time to look at Colorado's juvenile justice system from beginning to end -- from the beginning point where kids enter the system to the endpoint and everything in between. 91.5 KRCC: What were some of the things that you were seeing that were causing some concern? Lee: A variety of things. One: the outcomes were not satisfactory by any measure. Kids who went through the juvenile justice system and actually went into the Department of Youth Services, 50 percent of them got re-arrested for committing new crimes within two or three years after getting out. They [also] weren't achieving educational outcomes within the division. And far too many kids were being sent into the juvenile justice system. When we began looking at what was going on in the system. It was clear to us that something was amiss. 91.5 KRCC: So this task force got together, looked at the system, and came away with some recommendations. What are some of the big takeaways? Lee: What we heard from scores and scores of people who were participating in this task force is that the best thing you can do for most juveniles in the criminal justice system is to get them out of the criminal justice system, out of the juvenile justice system. And what the task force recommended is that juveniles should be sent into programs that emphasize accountability, acceptance of responsibility, and restorative practices -- that by doing that they'll reduce the risk of these kids reoffending or committing further harm. The task force also recommended the development of a validated risk assessment tool to help people at the gateway to the system to determine, ‘what do these kids need?’ They've committed an offense, let's find out what's going on. We wanted to ensure that only the kids who are at greatest risk of doing harm in the community are put into detention. 91.5 KRCC: You'll be entering the state senate in 2019. There will be Democratic control of Colorado state government. What do you hope to get done on juvenile justice and criminal justice reform more broadl?. What are some of the big things you really hope you can accomplish starting in 2019? "Republicans and Democrats and liberals and conservatives and libertarians can find common ground to develop proposals that work better for the entire community to get better outcomes." Lee: I've got a couple of initiatives that I'm going to pursue. One of them is to, along with my co-chair of the Improving Outcomes Task Force, Senator Bob Gardner, we are going to co-sponsor an omnibus juvenile justice bill to incorporate the principles that arose out of the agreement of the members of this task force. 91.5 KRCC: So you mentioned your work on this issue with Bob Gardner, who is a Republican, and, you know, nationally we're seeing some bipartisan reform efforts in the criminal justice system around mandatory minimum sentencing, creating diversion programs, that sort of thing. Are you feeling like there is a kind of broad-based, bipartisan consensus that's starting to form around this issue and an agreement that things need to change in our criminal justice system? Lee: I do... Some may have heard about the recent proposals coming out of the White House at the insistence of Jared Kushner. Well, actually [those] who came together to develop those proposals were from the ACLU and the Koch brothers. Now if that isn't an unlikely alliance, I don't know what is. But in fact, they reached an accord, understanding that locking people up for extended periods of time [is very expensive]. The cost of incarceration in the state of Colorado was some $38,000 a year to keep one person in prison. So conservatives can acknowledge that there are probably more cost-effective ways to do things. And from the perspective of the ACLU, it's an extraordinary denial of freedom and liberty to engage in mass incarceration. So Republicans and Democrats and liberals and conservatives and libertarians can find common ground to develop proposals that work better for the entire community to get better outcomes, and that's really what we're looking for.